Nancy is a language specialist and consultant. She has worked on language projects for the past 25 years. 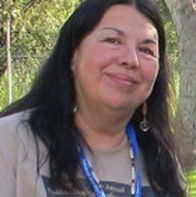 Nancy is also a board member of the Karuk Language Restoration Board and is an accomplished storyteller, basket weaver and traditional singer.